Congratulations to Shajan Velaedan for completing his Master of Philosophy thesis "Vascular autoregulation: retina as a non-invasive biomarker for the brain". He was co-supervised by Dr Zheng He and Associate Professor Bang Bui. 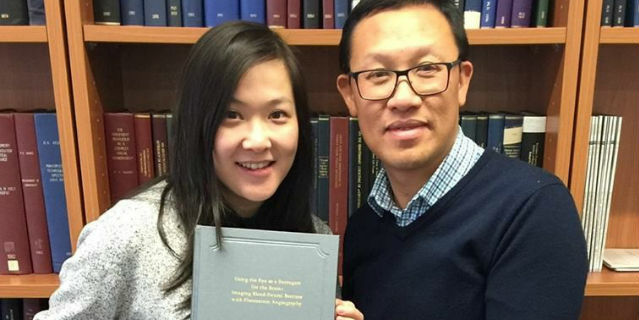 Congratulations to Flora Hui for completing her PhD "Using the eye as a surrogate for the brain: imaging blood-neural barriers with fluorescein angiography". 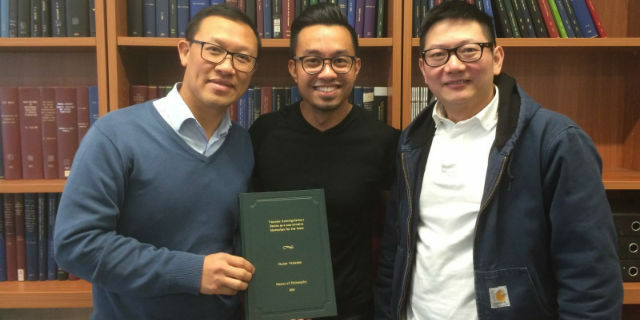 She was co-supervised by Dr Christine Nguyen, Professor Algis Vingrys and A/Prof Bang Bui. This project was funded by an Australian Research Council Linkage grant with Pfizer Research and Development (Cambridge, UK).